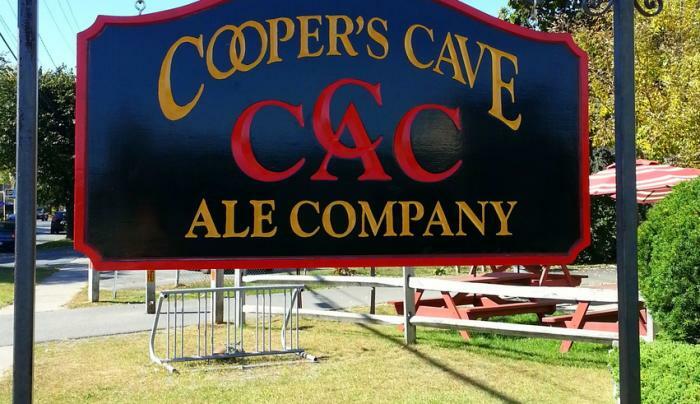 Cooper's Cave Ale Company is adding the taste of the Adirondacks to every batch brewed. 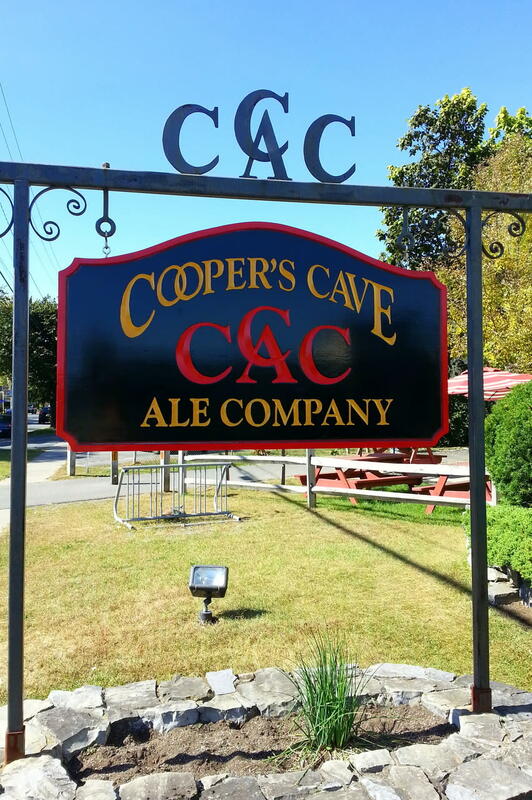 Beer selections include Sagamore (oatmeal) Stout, IPA (Irate Patty's Ale) and Bumpo's Brown Ale. Try a handcrafted gourmet soda-Gracie's Grape, Dracula's Blood, (strawberry), wild cherry cream or traditional root beer and more. Stop by the ice cream window for hard or soft serve cones or a dish and all the favs - super sundaes, banana splits, milkshakes, floats. All hard ice cream flavors are made on-site. At The Pub enjoy lunch or dinner. Our menu features salads-California Cobb, chopped, shrimp and apple, Southwest and taco. Soups - french onion au gratin, spicy buffalo chicken and soup du jour; and appetizers. Try our cave cod, Buffalo chicken wontons, mussels,chicken wings, fried calamari, tacos and cave fries. Burgers just as you like them - 1/2 pound Angus beef - choose the James Fenimore, the bumppo, a black and bleu, the Vienna, wild Alaskan salmon or the Sagamore Street. We also serve our vegan-the Beyond Burger! The Kid's menu has all the favorites and a surprise or two. Enjoy your meal indoors or out on our covered - heated four-season deck which overlooks the Warren County Bikeway.